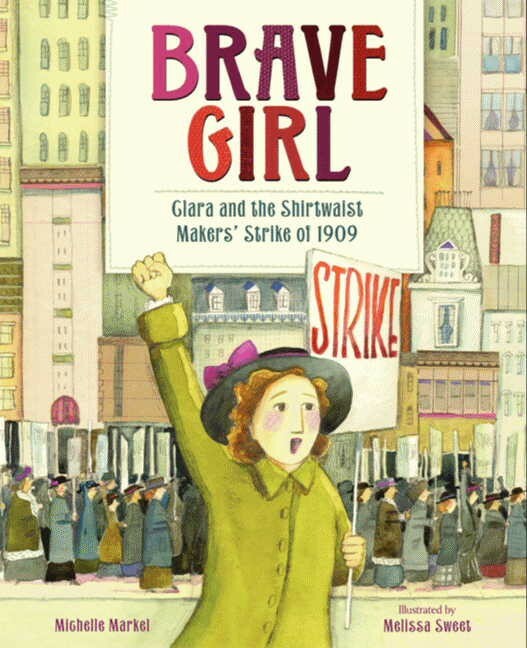 This stunning picture book biography tells the inspiring true story of garment worker organizer Clara Lemlich. When Clara arrived in America, she couldn't speak English. She didn't know that young women had to go to work, that they traded an education for long hours of labor, that she was expected to grow up fast. But that did not stop Clara. She went to night school, spent hours studying English, and helped support her family by sewing in a factory. Clara never quit. And she never accepted that girls should be treated poorly and paid little. So Clara fought back. Fed up with the mistreatment of her fellow laborers, Clara led the largest walkout of women workers in the country's history. Clara had learned a lot from her short time in America. She learned that everyone deserved a fair chance. That you had to stand together and fight for what you wanted. And, most importantly, that you could do anything you put your mind to. 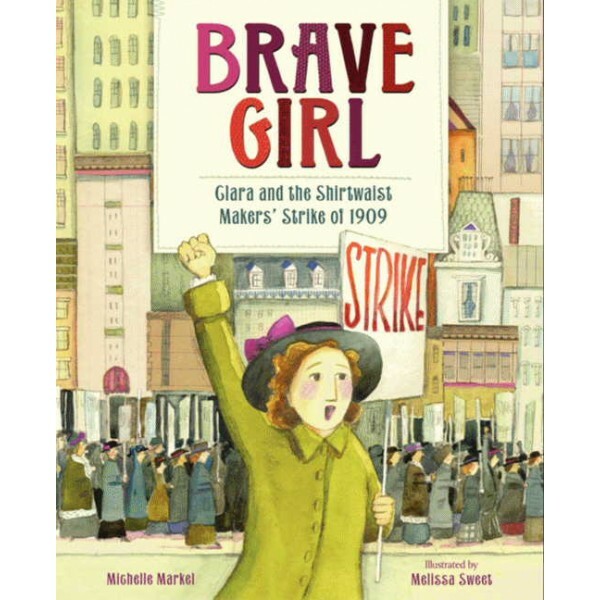 For more stories about girls and women who fought for workers' rights, visit A Mighty Girl's Work & Labor section.